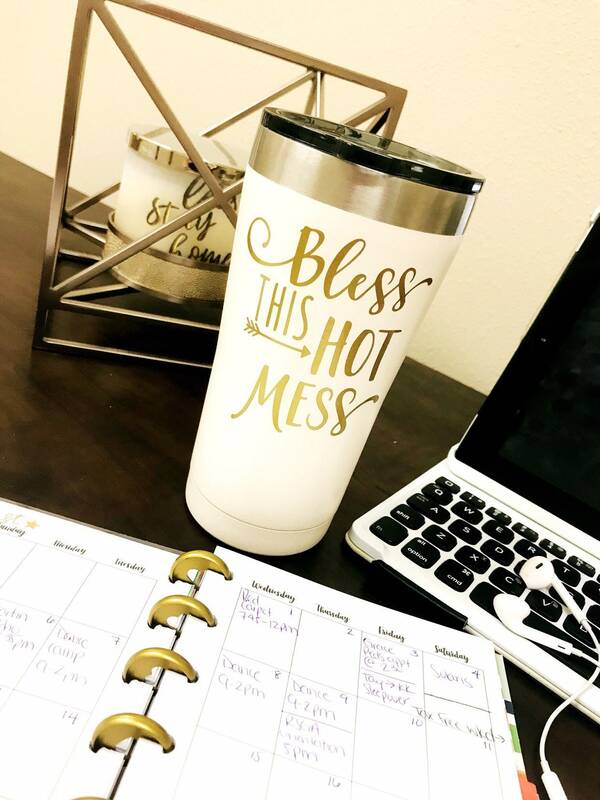 20oz stainless steel white tumbler, with the perfect statement in gold permanent vinyl. 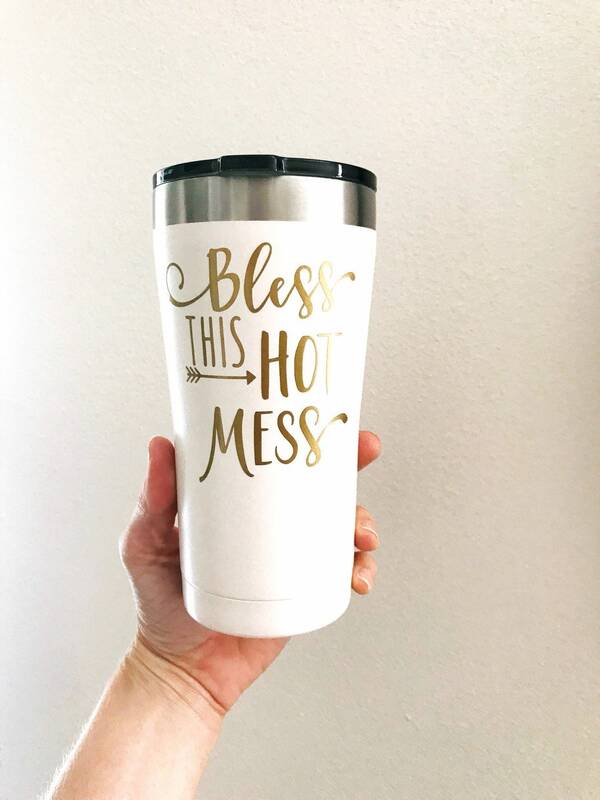 “Bless this Hot Mess”! !